The whole premise of Sanjay’s wife Manyata approaching Winnie, a writer, to write his biography so that we are told his story is ridiculous. The movie doesn’t even mention Sanjay’s two earlier marriages or his daughter. Instead Sanjay sleeping around with multiple women is shown as a badge of honor by telling the number of women he slept with. Even Sanjay sleeping with his best friend’s girlfriend is a trivial scene which does not affect their friendship. Ranbir tries very hard to play Sanjay Dutt but unfortunately it looked more like a caricature – something a comedian would do on a TV show. 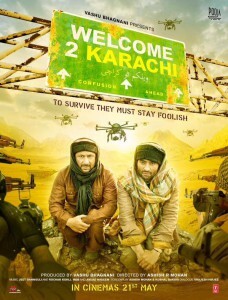 Vicky Kaushal was excellent as Kamli and stole the show. Paresh Rawal neither looked nor acted like Sunil Dutt. His constantly talking about songs was all so Raju Hiranish. Manisha did not look like Nargis either and was overacting like anything whenever she had any talking scenes. Anushka looked horrible with that stupid hairstyle and the whole concept of her being a biographer was so stupid. There was no need for her role. Diya Mirza was ok. Sonam Kapoor was ok in a small role but she was pathetic with that accented “Where is my Mangalsutra”. Raju Hirani even brings up his Munnabhai M.B.B.S as if it was the first good movie that Sanjay Dutt did after coming out of jail and makes a big deal of Sanjay Dutt winning Best Comedian at Filmfare awards when he did Vaastav in 1999 and even won Best Actor for that. Screenplay by Rajkumar Hirani and Abhijat Joshi is pathetic. Rajkumar Hirani tries to do his usual formulaic stuff with some comedy scenes and some emotional tearjerker scenes but unfortunately this time neither the comedy works nor the emotional scenes. 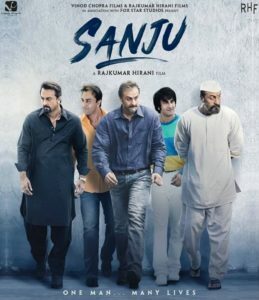 Sanjay Dutt’s story had so much potential for a great movie but Sanju is nothing but a bad infomercial glorifying Sanjay Dutt and blaming others for every bad thing that he did.